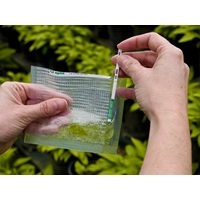 The Phytophthora ImmunoStrip® is designed for on-site testing of plant tissues suspected of infection with Phytophthora species. The test is recommended for use as a preliminary screening tool in survey programs for Phytophthora species such as P. ramorum (Sudden Oak Death) and P. kernoviae. The test is also suitable for detection of Phytophthora species that affect other important crops such as P. fragariae in strawberry or P. infestans in potato. ImmunoStrip® tests are a reliable and affordable way for anyone to test. Results are achieved in minutes.